Optus Satellite has announced the company's successful completion of its 100th launch support mission. 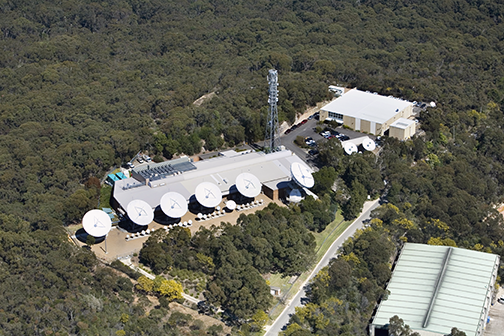 The Optus Belrose Earth Station. Photo is courtesy of the company. The milestone achievement was completed for global satellite operator Telesat, with the launch of a new satellite that will deliver Direct-To-Home (DTH) broadcast TV services throughout the Middle East and North Africa, which Telesat supports with their Transfer Orbit Services. This launch strengthens the relationship between Optus Satellite and Telesat. In March of 2018, the companies announced a collaboration to conduct live, over-the-air trials on Telesat’s LEO satellites. John Castro, Acting Managing Director of Optus Wholesale & Satellite, said that completing the company's 100th launch support mission is a landmark moment for Optus Satellite. For more than 30 years, Optus has delivered specialist satellite support to a diverse range of organizations and providers across the globe. To be a key member of Telesat’s global launch support network is testament to the firm's unique ability and continued effort to deliver next-generation satellite networks, enabling the firm's customers and partners to satisfy growing demand for data-rich services and applications..
Dave Wendling, Telesat's CTO, added that Optus Satellite is one of Telesat’s most trusted suppliers for the company's launch support activities. Their on-time delivery of efficient, effective services helps us assure mission success.